One family was vacationing in Missouri when they boarded a boat used for duck tours operated by the Orlando company, Ripley Entertainment, which owns and operates a “Ride The Ducks” tour boat. The boat sank in a severe thunderstorm taking nine of the eleven vacationing members of the family along with it. They were among the 17 people who were killed as the boat sank. 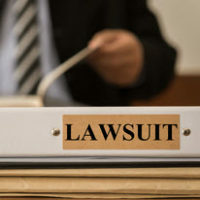 The family has since filed a $100 million wrongful death lawsuit against the company alleging that the company’s negligence resulted in the deaths of their loved ones. Duck boats are distinctive because they can traverse both land and water. But many claim they do neither of things very well and that an accident of this magnitude was bound to happen sooner or later. In the vast majority of personal injury lawsuits, the question of negligence determines liability. In this case, the family seeks to blame the company for the deaths of their loved ones. To date, there are 26 recorded deaths arising from duck boat incidents. The family is urging the wholesale ban of duck boats altogether. At issue is the canopies in the boat’s design. Those who have spoken out against duck boats say that these canopies can trap passengers underwater preventing them from swimming to the surface. If the design of the duck boats themselves can be blamed, then the plaintiffs may not have to prove negligence at all. A 1999 case in Arkansas highlighted the dangers of duck boats when a boat capsized killing 13 passengers. In the aftermath, the National Transportation Safety Board warned that duck boat canopies posed an “unacceptable risk” to passengers, but those operating the duck boats refused to remove the canopies. There is also some evidence that the duck boat operators chose to operate the duck boat in unsafe conditions. According to safety recommendations, duck boats should not carry passengers when the winds exceed 35 mph. The “Ride the Ducks” tour failed to heed that recommendation. The specific boat that sank in Branson, Missouri had garnered special criticism from safety inspectors. Because of where the placement of the boat’s exhaust system, the safety inspectors warned that the boat’s engine might fail in bad weather. Despite having all of this information prior to the boat ride, the “Ride the Ducks” tour went forward in bad weather. The lawsuit specifically names Robert McDowell who was president of Ride the Ducks in Branson and the designer of the boat. The suit claims that McDowell did not have a degree in engineering and only completed two years of college. Ripley Entertainment, which is the company that owns and operates nearly 100 duck boats including the one that sank in Branson, acquired Ride the Ducks in December of last year. They’re now on the hook for a $100 million lawsuit. Gillette Law Firm has helped hundreds of clients recover damages in both personal injury and wrongful death lawsuits. If you’ve injured or had a loved one taken before your time, give us a call at (912) 289-4205 or contact us online for a free case evaluation.